The signature of John Hancock on the Declaration of Independence is the most flamboyant and easily recognizable of all. It is perhaps no surprise that the story of his part in the revolution is equally engaging. Few figures were more well known or more popular than John Hancock. John Hancock was born in Quincy, Massachusetts, on January 12, 1737 and died there October 8, 1793. Hancock received a privileged childhood education and was admitted to Harvard graduating in 1754. Upon the death of his father, John Hancock was adopted by his uncle, Thomas, who employed him at the Hancock counting-house. Upon his Uncle&apos;s death John Hancock inherited the thriving business as well as a sizable fortune which some scholars claim was amassed during the French and Indian War. The events leading to the declaration of independence, which have been rapidly passed in review, in the preceding pages, have brought us to the more particular notice of those distinguished men, who signed their names to that instrument, and thus identified themselves with the glory of this American republic. John Hancock signed the Declaration of Independence and was a leader of the movement toward revolution in the American colonies. He later served as a president of the Continental Congress, and he was elected governor of Massachusetts for nine terms. John Hancock&apos;s flamboyant signature on the Declaration of Independence made him an American legend. A Harvard graduate, Hancock was a prosperous Boston businessman who nonetheless favored American independence from Great Britain. He became a Massachusetts representative to the Continental Congress, and was elected president of the Continental Congress in 1775. As such, Hancock was the first to sign the Declaration of Independence in July of 1776. John Hancock (1737-1793) signed the Declaration of Independence and was a leader of the movement toward revolution in the American colonies. Later prominent in the Continental Congress, he was elected Massachusetts governor for nine terms. John Hancock stood at center stage in Massachusetts politics for most of his adult life and provided leadership for the patriot cause with an enthusiasm as bold as his unmistakable signature on the Declaration of Independence. He was born in Braintree (now Quincy), Massachusetts, the descendant of a number of prominent Congregational clergymen. A wealthy and childless uncle, Thomas Hancock, adopted his nephew following the death of the boy&apos;s father. John Hancock did not directly participate in the Boston tea party. But he stood to lose the most from the East India Company imports of English tea to Boston. On the other hand Samuel Adams who led the Mohawks aboard the British ships was so close to John Hancock that Bostonians even joked that &quot;Sam Adams writes the letters [to newspapers] and John Hancock pays the postage&quot;. You do the math. 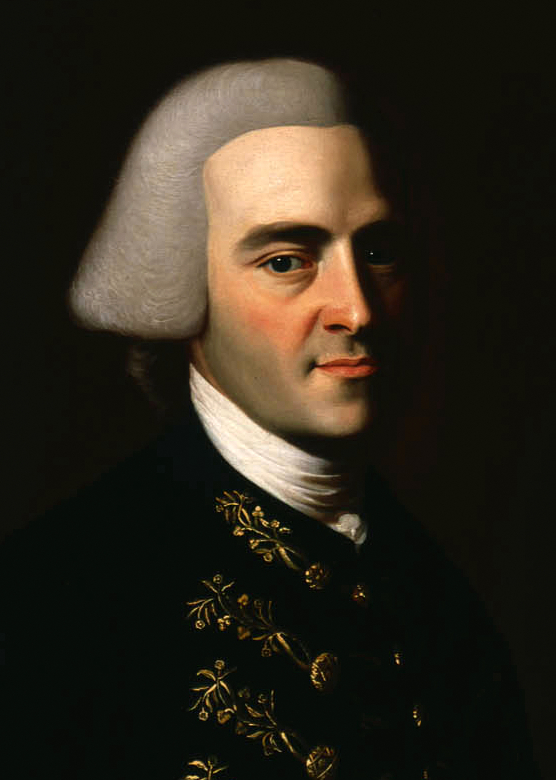 John Hancock was the wealthiest merchant in New England before becoming affiliated with the revolutionary cause. Encouraged by Samuel Adams, he headed a citizens&apos; committee, which called on Thomas Hutchinson to remove English troops from Boston. He rose to prominence serving as the president of the Massachusetts Provisional Congress (1774-1775) and as president of the First and Second Continental Congresses (1775-1777). John Hancock (January 23, 1737 – October 8, 1793) was a merchant, statesman, and prominent Patriot of the American Revolution. He served as president President of the Continental Congress and was the first governor of the Commonwealth of Massachusetts. He is remembered for his large and stylish signature on the United States Declaration of Independence, so much so that "John Hancock" became, in the United States, a synonym for signature.